I love, love, love cheese. 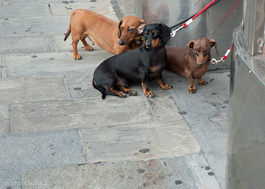 So much so that a visit to a cheese shop is almost better than a visit with brand-new dachshund puppies–almost, but not quite. Puppies aside, one of my ultimate favourite cheese shops is Murray’s, in NYC. 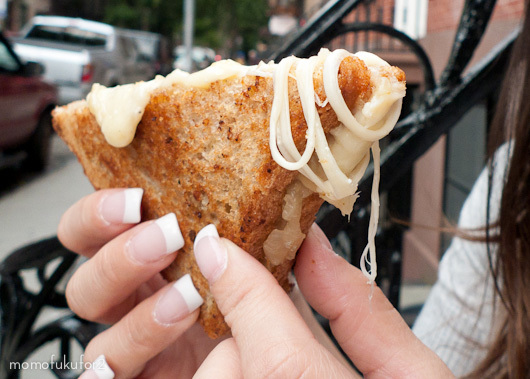 The Murray’s on Bleecker Street has a Murray’s Melts counter with create your own grilled cheeses and ready-made, grill to order sandwiches. 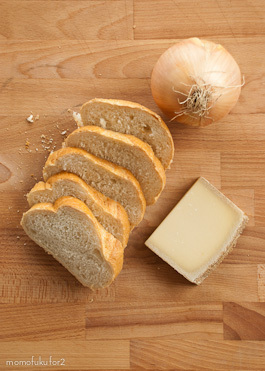 My first ever Murray’s cheese sandwich was the French Onion Soup: gruyere and roasted onions on rye. It was in the middle of a scorching hot summer and a grilled cheese sandwich would be the last thing that anyone would want to eat, but there I was, sitting on someone’s steps, stuffing my face with bread and cheese. The sun was beating down and I burnt my fingers and my tongue, but I couldn’t stop, it was that good. I don’t see the French Onion Melt on Murray’s online menu, but I refuse to believe that they don’t have it anymore. 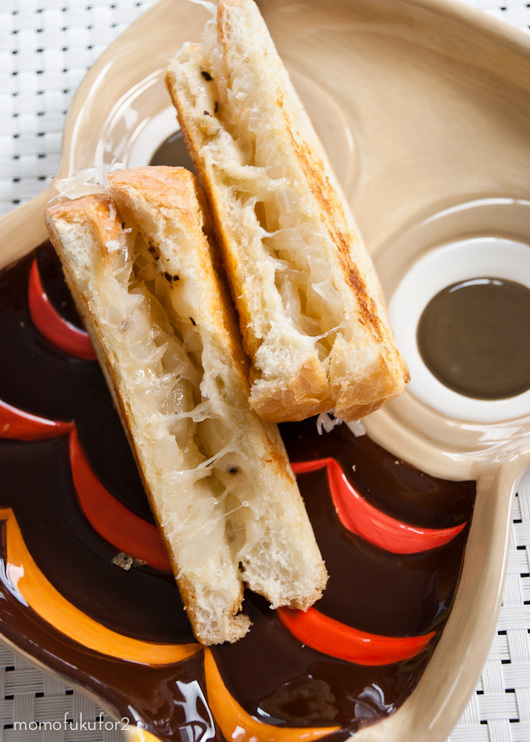 The French Onion Melt is divine: melty, sweet onions, salty, ooey gooey gruyere and the unmistakeable texture of grilled buttered bread is to die for. It’s been a couple of months since I’ve had one (you New Yorkers don’t know how good you have it!) and the craving hit so hard that I knew I had to try my hand at making the sandwich at home. Essentially, it’s a simple sandwich to make; it’s the ingredients working together that make it magic. Do yourself a favour and make yourself this sandwich and imagine yourself walking around in NYC on a crisp fall day, sandwich in hand and leaves on the ground. Trust me, you won’t regret it; this sandwich is perfect, no matter where you are. Over medium-low heat, heat up the olive oil. When hot, add the onions and turn the heat down to low. Cook slowly, until transparent and cooked, but not mushy. Butter the bread on one side. 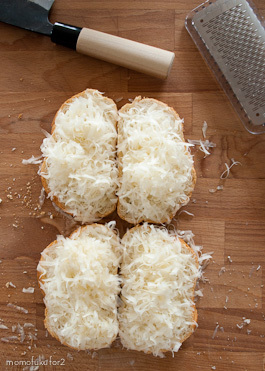 Lay out the bread, butter side out and top with a generous amount of shredded gruyere. 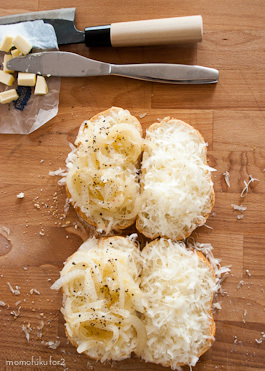 Top the gruyere with the onions, season with pepper and close the sandwiches. Place the sandwiches in a pan over medium heat and grill until golden brown. Enjoy hot! Oh my gosh, I love cheese and love onions—-would it be alright to eat this three times a day? I’ve had it two days in a row now, so what’s three times a day!? I won’t judge! That just made me drool a bit. Thank you so much for this post. Turns out Murray’s Cheese is right by my school!! Going to go tomorrow! Hope you love it there! right this momment , im cooking my onions ! 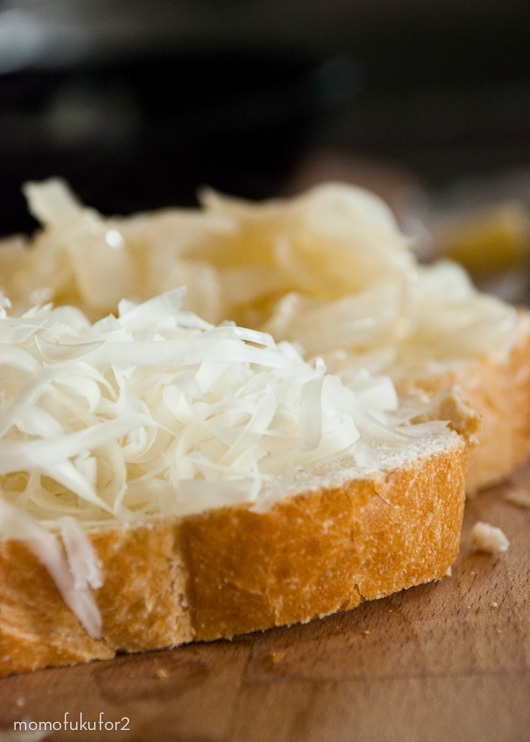 Gruyere cheese should be a must in any fridge! i want that owl plate so much much i can’t even think about the sandwich! I love my owl plate! I don’t know where you’d find him in the states though. He’s made by Mesa Productions if that helps any. I’m eating that for dinner tonight! I like your new knife, i see you have upgraded! The cheese looks good too! I love my new knife too, it’s super sharp! 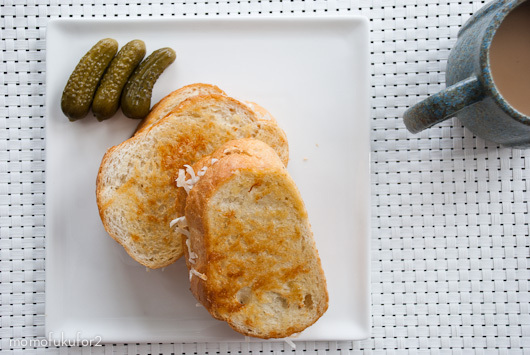 Rye bread with caraway seeds is my favorite bread for grilled cheese, normally made with aged cheddar. When I have the time, I slowly brown the bread on low heat in a cast iron pan. This give a much more complete and even browning. Buttery crunchiness, melty cheesiness, what better sandwich for a fall day? I always believe that slowly grilling bread on low heat creates the best crunch! Oh yeah! I have just done that for lunch and it was absolutely delicious. It is kind of a sandwich version of a cheese fondue. Thanks for the idea! Mmm, it is like cheese fondue. I hadn’t thought of that! Wicked, wicked wicked sandwich- you solved my what to cook tonight dilemma for sure-Thanks! 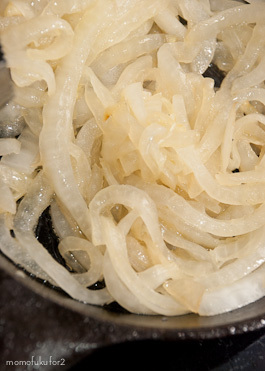 And- I may just make some French Onion Soup for the side (or would that be overkill?)! Wow looks and sounds so good! I must try this soon =) Thanks for sharing! This looks really good, but to wander this sandwich towards Alsace and add some drained kraut would be oh so good. Holy cow, this looks delicious!!! Time to go to the store, right now, to pick up some gruyere! Excellent call on the Walla Walla sweets – best onion around!